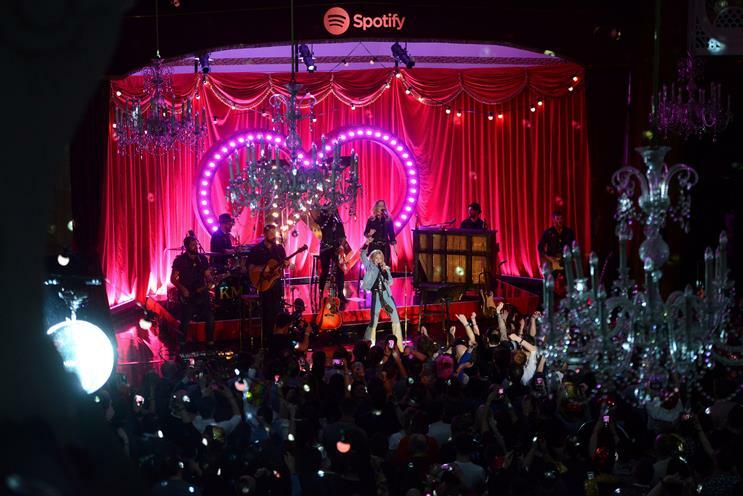 Spotify hosted an intimate Kylie Minogue gig for its premium customers. The concert at Porchester Hall in central London last night was for 300 people who the platform picked out as Minogue’s biggest fans. The star played a mixture of old and new tracks and promoted her upcoming album Golden which features a Tennessee sound mixed with her pop-dance style. Spotify hosted a similar gig with Justin Timberlake after the Brit Awards earlier this year.